Rajesh Agrawal is a gifted business entrepreneur, responsible for creating a multi-million pound commercial foreign exchange and international payments company. In 2005, Rajesh founded RationalFX, one of the world’s fastest growing and most competitively priced independent foreign exchange companies. Fully authorised by the FSA as a payments institution, with an impressive 20,000 private and business clients, the company has already transferred over $2 billion worldwide. As a brand extension to RationalFX, Rajesh launched Xendpa.com, a leading global payments and money remittance online platform, helping individuals to save money when sending payments to almost any country in the world quickly, safely, and easily. With the launch of Xendpay.com and more recently its Chinese version, RationalFX has now become one of the leading Foreign Exchange International Payments providers from the UK and the EU to China and the first FX broker with an Online Payments System. Born in Indore, India, Rajesh, who holds a Bachelor’s degree in Finance & Marketing and an MBA in IT & Marketing, was 22 years of age when he left his small town home in India to live on only 5,000 rupees a month (approximately £63) in Chandigarh, Northern India, working for a small web-designing company. Rajesh moved to London in 2001 after being headhunted by a foreign exchange broking firm. After harnessing over 10 years of experience in IT, currency risk management and commercial foreign exchange, he teamed up with colleague, Paresh Davdra, to create RationalFX. What started as a two-man enterprise based in Brighton is now a multi-million pound turnover business based in the City of London, with offices in Birmingham, France and Italy. With a shining commitment to the business and commerce sector, Rajesh provides inspiration to his team of 60 based at his City of London office and motivates their unified commitment to making RationalFX a market leader par excellence and for offering value added customer service. Engaged in a number of high profile endeavours and community based engagements, RationalFX is also the principal sponsor for Birmingham City Football Club for Season 2011-2012, again testament to the company’s exponential growth and a further signifier to Rajesh’s commitment to supporting regional projects and grass roots organisations. Rajesh’s business prowess and dynamic entrepreneurialism, combined with a strong sense of integrity and philanthropy, have contributed to widespread celebrations of his achievements by some of the most globally respected bodies and organisations in his field. In a relatively short time space, he has been a nominee and recipient of several industry awards and accolades. In 2008, he was nominated in the Business and Commerce Excellence category at the coveted Lloyds TSB Jewel Awards. That same year, he was also elected as a Fellow of the Royal Society for the encouragement of Arts, Manufacturing and Commerce on a personal invitation by the trustee board. In 2011, Rajesh won the Asian Who’s who Young Entrepreneur of the Year Award. 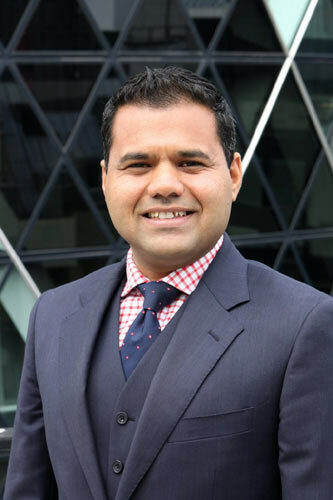 As someone who is very passionate about entrepreneurship, Rajesh is a board member of TiE UK, which is world’s largest not-for-profit organisation facilitating entrepreneurship. Rajesh is also an adept speaker and writer on foreign exchange markets, work philosophy and entrepreneurship, as well as an unsung philanthropist committed to a number of community-centric and charity based projects.